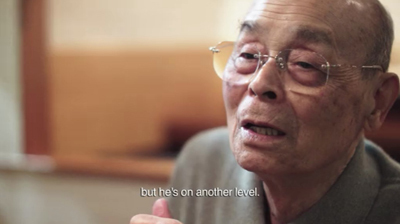 The Tokyo sushi chef Jiro has done the same thing at work every day for 60 years, no vacations, no holidays. He says he has loved every day of this repetition. The secret to his happiness is that everyday he tries to make his sushi even better than the day before. According to his customers he succeeds since his tiny 10-seat shop in a subway station is sold out a year in advance at $300 per meal. This documentary is an insightful and inspirational portrait of a craftsman seeking mastery, and the quest for perfection. 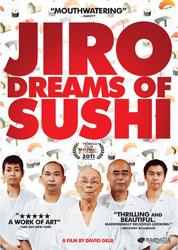 Jiro’s life is now an inspiration for others following mastery as a way to find their passion. 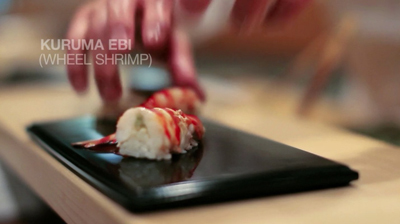 Oh, and the film is also a tremendously great view of the quality of work that world-class sushi really entails. You’ll look at sushi differently now. This is a deliciously perfect film about a perfect craftsman. As I recall, Jiro’s sushi workers start by learning how to roll hot towels, o-shibori (おしぼり or お絞り), for a couple of years before they even start on rice. 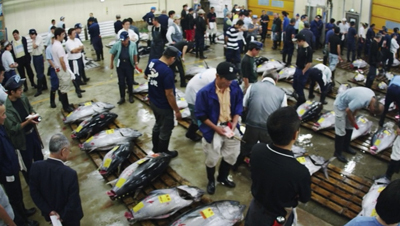 Incredible dedication and attention to detail by Jiro and his family.